15710-ECO-DST is rated 4.5 out of 5 by 8. 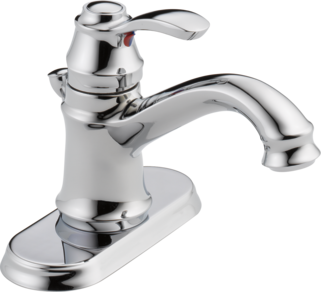 Rated 4 out of 5 by Nick50 from Easy installation Love this faucet. Biggest complaint is that its noisy. Rated 4 out of 5 by Paulamarie from Love the look of this faucet! This faucet is very sharp looking and changed the whole look of my vanity and sink. The pull handle for the drain seems a little crooked, but it works well and cleans up nice and easy. Would definitely get another one. Rated 4 out of 5 by Ronnie7 from Good product, Good features! Over all this is a pretty good product. The single handle function is pretty smooth as well as the temperature control of the faucet. The one con I have is with the stainless steel finish. You have to constantly wipe it down with warm water and a cloth to maintain the finish or else it leaves water marks and spots on the finish!!! Rated 4 out of 5 by LB9564 from Looks and Works great It's hard to review a product on quality and performance when it's newly installed. No telling how it will hold up. 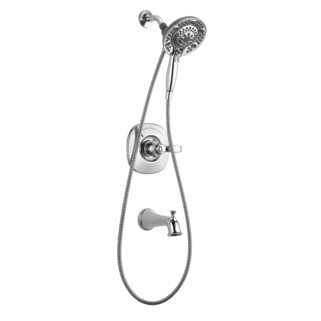 I switched from Moen products because of their poor long term performance (valve failures, fixture finishes degrading prematurely, leaks etc...) Hoping this product performs better. My initial impression is positive. It's a very nice looking faucet. Rated 5 out of 5 by coonie from like the style and design always use delta products. they have been around a long time-so that should tell you the products are good quality. Rated 5 out of 5 by Dave9 from Easy to install I really liked the looks, and the fact that supply lines were integrated into design. No need to buy additional parts. time will tell if it lives up to dependability advertising only negative is I feel it is a little touchy getting exact setting for hot/cold mix but that might improve with use. How would we seal the hole left by the plunger if we purchased the push and seal drain mentioned in the reply quoted below? 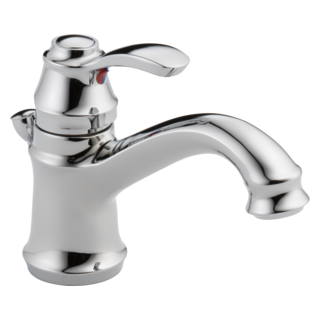 The answer I got to my original question = The 15710-ECO-DST single handle lavatory faucet only comes with the standard drain with overflow holes. You would have to order the push pop drain 72172 separately. Can you get this faucet with a push and seal drain and no plunger? What bathroom accessories would go with this collection? Does this model come with an aerator tool? What is the overall height of this faucet from the bottom to the top (without using baseplate)?